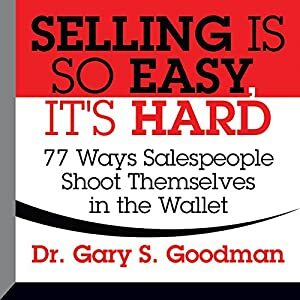 Salespeople: Stop Shooting Yourselves in the Wallet! Most sales training programs offer the same old pointers: Always be closing, keep it simple, stupid, and ask for referrals. You know these clichés. Selling Is So Easy, It's Hard is the first program to focus on the 77 correctable selling mistakes that novices and veterans make. Without conscious awareness, these errors, snafus, miscues, and blunders keep the typical seller from earning at least 25% more business. This translates into millions of dollars in lost income over the course of a career, according to best-selling author and speaker Dr. Gary S. Goodman. Goodman, a top salesperson, internationally respected Fortune 1000 consultant, and CNBC expert, admits to having committed every mistake he describes in this lively and dynamic program. "Why beat yourself up without beating your quota?" he asks. Get out of your own way, now, and prosper! Do you want to be more alert? Do you experience symptoms that have no obvious cause? Discover why countless health problems may have inflammation as a common denominator. Learn about the link between allergy and suicide and how too much immunity can trigger depression and fatigue. Heart disease and cancer are also linked with too much immunity in the form of inflammation. But too little immunity can result in infection. 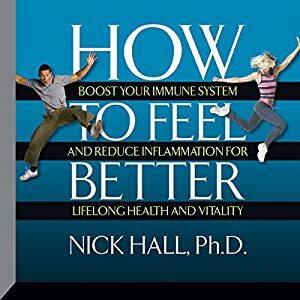 This program will provide a clear understanding of how the immune system works and ways you can achieve a state of optimal health. Do you want to always get the best possible deal with suppliers, contractors, salespeople, real estate agents, etc.? Do you want a higher salary? Do you want to learn how you can find discounts and deals on practically everything? If so, you must learn how to become a power negotiator. Negotiation is a skill that can bring you vast success in all aspects of your life. When you're a skilled negotiator, you can get the best possible price on everything you purchase or sell, and you can deal with salespeople or clients. 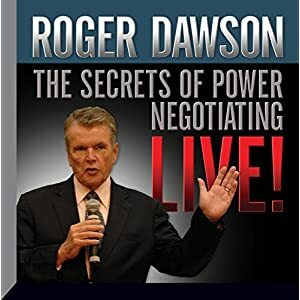 And in this program, you'll take a front row seat at this live seminar, and be instructed by world-renowned negotiation expert Roger Dawson on how to master this vital skill. 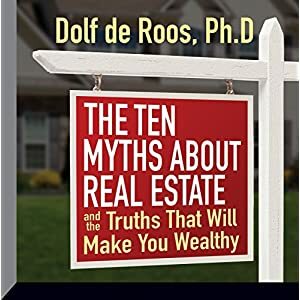 After the real estate crash of 2007, most people - both the so-called "experts" and amateur investors alike - thought the opportunity to make money in real estate had passed for good. However, as it turns out, just when all of those people were leaving the market, the true real estate investors were buying up as many properties as they could, realizing that they were buying on sale. They didn't fall for the myth that real estate is no longer a good investment. Words. They're the foundation of nearly everything of value in our world. They have the power to create, and the power to destroy. The power to inspire and to terrify. The power to enlighten, and also to obscure. And, more specifically for you, they have the power to attract wealth and success, and guarantee your brighter future. This is not hyperbole -- it is based on rock solid research. Studies show that those people with large vocabularies are smarter, wealthier and happier than the average person -- and substantially so. And here's the best news of all, a large vocabulary is not tied to your social status, your genes or even your education level. It is a skill that can be learned -- and it takes only 30 days. 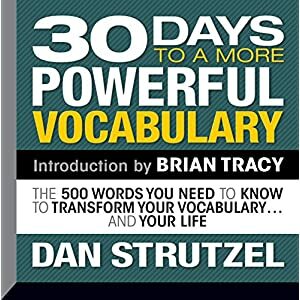 In this cutting-edge program, 30 Days To a More Powerful Vocabulary, personal development expert and English enthusiast, Dan Strutzel, will instruct, enlighten and inspire you with a concentrated 30-day program that will teach you over 500 words. But, more than teaching you these words, the uniquely designed morning and evening review sessions will ensure that these words become a habit-knit part of your life -- and with minimal effort on your part. Best of all, research shows that learning new words has an exponential effect on the size of your vocabulary -- since learning one word, naturally produces an association between two to three more words. In short, after listening to and applying the system in this 30-day program, you will not only have a bigger vocabulary -- you will have a brighter future! The ten myths about building a dynamic vocabulary. The secret behind the exponential effect of vocabulary building. A 30-day program designed to maximize learning and comprehension of over 500 words. The words you need to know about money and financial issues. The words you need to know about persuading others. The words you need to know about marriage, parenting and other relationships. The words you need to know about science. The words you need to know to be a great conversationalist. Why building a large, dynamic vocabulary is even more valuable in the digital age. Are you earning what you're worth? 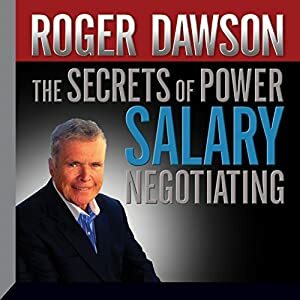 Master negotiator Roger Dawson shows you how to get a better deal from your current employer and how to negotiate the best deal from a new employer. And you won't come off as greedy, overly aggressive, or selfish. In fact you'll learn how to win salary negotiations and still leave your boss feeling like he or she has actually won! You'll also learn how to become more valuable to your employer or prospective employer and how to develop power and control over your career and gain an amazing ability to get what you want. 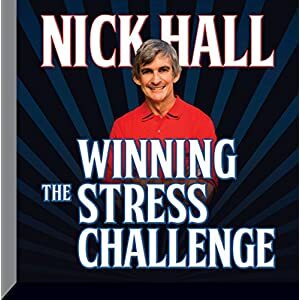 In Winning the Stress Challenge, you will learn the ways stress can trigger illness and sap your motivation; discover how to counter stress by taking control of emotions; learn how touch, aromas, and balanced breathing can counter stress; learn a stress-recovery workout that will train you to automatically overcome stress; and learn techniques for dealing with toxic relationships. The cancer of "political correctness" has not only helped to form a society of insincere, oversensitive, and underachieving people - it has deprived individuals of the joy of living authentically and boldly, the life the late Henry David Thoreau called people to live when he implored us to move "confidently in the direction of our own dreams". Well, living authentically and boldly has never been a problem for Larry Winget. Known as the Pitbull of Personal Development®, Larry is not afraid to tell it like it is about what it takes to be successful. 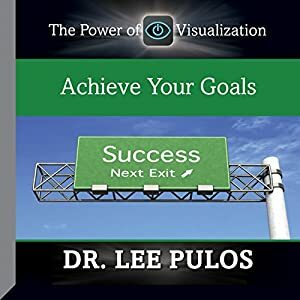 And he's also not afraid of skewering some of those well-known shibboleths of personal development - like the law of attraction and the path of "effortless success" that are peddled by so many motivational speakers. 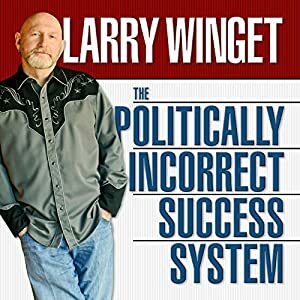 In this program Larry will take on the political correctness that has infected our society and the personal development industry. And he'll outline an effective "back to the basics" approach to help you be more successful. Larry still believes that hard work and excellence are the keys to success and communicates that like no other person on the planet can! Larry makes you think. He makes you uncomfortable. He offers common-sense solutions that are impossible to argue with. On top of all that, he is hilarious. Why being politically correct will leave you unhappy, uninspired, and unsure about your future. Why it takes a contrarian approach to be successful and true to yourself in this upside-down politically correct world. Why you need to fix yourself first rather than putting your focus on how to fix others or society. Why letting go of your need for approval is essential to happiness. How to get to the point and ask for what you want in life - directly and decisively. How to make big, bold, and brash plans for your life. The future creates the present - not the past. Following a relaxing hypnotic induction, you will be guided on how to create and breathe life into the most optimal future you are choosing to step into at this time of your life. This self-talk program provides suggestions for building confidence and helping overcome the one of the most common fears - speaking in front of groups. Lacking motivation? Do you need that extra nudge to jump start your exercise and wellness routine? This program will provide you with the suggestions to continue and enjoy your exercise routine. 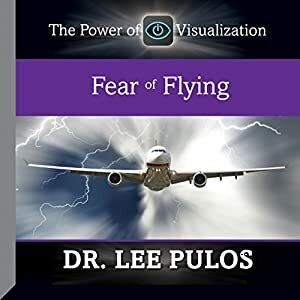 Many of Dr. Pulos' clients have used this hypnosis program to overcome their fear of flying and listen to it for its calming effect while flying. 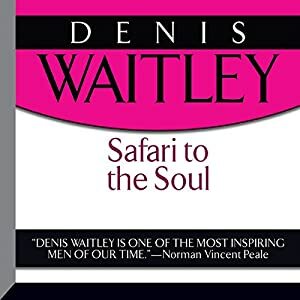 This unique audiobook has been heralded as Denis Waitley's most penetrating, profound, and personal message on his spiritual journey through life, which he delivers with his inimitable style, making us laugh, cry, and pause to reflect on our own essence and beliefs. Comparing our modern day environment to a "savage paradise", he takes us on a fascinating safari to Kenya's famed Maasai Mara, using wildlife metaphors to describe lessons learned and coping skills that can be applied to our business and personal lives in today's dangerous, fast forward world. A recognized pioneer in the personal development movement, Denis Waitley is one of the most respected and listened to voices on high-performance achievement. The author of 18 nonfiction books, his audio album The Psychology of Winning is the all-time best-selling program on self-mastery. Safari to the Soul is one of his most recent works, delivered in an autobiographical format, based upon his annual safari pilgrimage to witness the great migration of wildlife in Kenya. He combines guideposts for overcoming fears and setbacks, and control of outcomes, with sage advice on how to enjoy serenity, peace, and balance in the process. In this program, Denis Waitley showcases why he has been one of the most popular keynote speakers in the world for several decades as well as including an updated version of his classic audio program The Psychology of Winning. The first part of the program is a recording of Denis Waitley live at Caesar's Palace in Las Vegas, speaking to an audience of financial entrepreneurs. His presentation is laced with anecdotal humor and gems of wisdom. The second part of the program is Denis in studio advising us on how to become change-masters in today's volatile global economy. A recognized pioneer in the personal development movement, Denis Waitley is one of the most respected and listened to voices on high-performance achievement. The author of 18 nonfiction books, his audio album The Psychology of Winning is the all-time best-selling program on self-mastery. 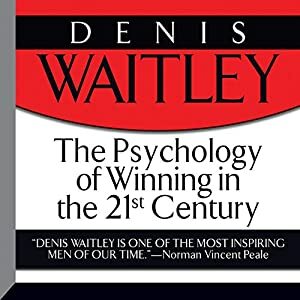 The Psychology of Winning for the 21st Century combines a classic keynote speech with an in-studio presentation that updates Denis Waitley's blockbuster audio album with timeless and timely advice on how to attain personal and professional excellence today. 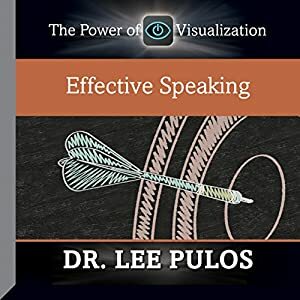 As a result of this book, the use of parables to impart timeless wisdom that can be applied to present-day challenges in living successfully became popular, as evidenced by global best sellers The Greatest Salesman in the World, The One-Minute Manager, and other recent self-help books. A recognized pioneer in the personal development movement, Denis Waitley is one of the most respected and listened-to voices on high-performance achievement. The author of 18 nonfiction books, his audio album The Psychology of Winning is the all-time best-selling program on self-mastery. 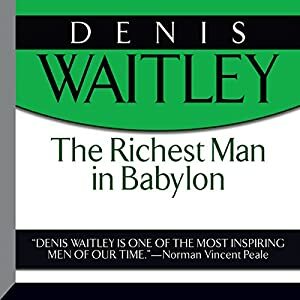 The Richest Man in Babylon, according to narrator Denis Waitley, greatly influenced his understanding of the cornerstones upon which to build financial security. A banquet of priceless knowledge on capital accumulation, both philosophical and practical. 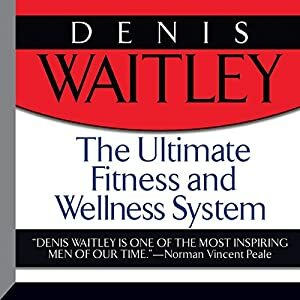 In this program Denis Waitley offers a total, synergistic approach to building a fat-burning, disease-fighting, age-defying body and mind, based upon research and experience during his years as chairman of psychology on the United States Olympic Committee's Sports Medicine Council. He compares science-based truths with popular myths concerning nutrition and exercise as well as providing concepts for healthy behavior modification employed by high-performance achievers. A recognized pioneer in the personal development movement, Denis Waitley is one of the most respected and listened to voices on high-performance achievement. The author of 18 nonfiction books, his audio album The Psychology of Winning is the all-time best-selling program on self-mastery. The Ultimate Fitness and Wellness System is a comprehensive, holistic approach to nutrition, exercise, and behavior modification using techniques employed by world-class athletes to instill habits leading to peak performance. 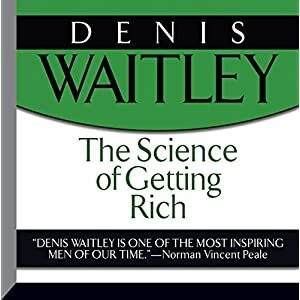 Denis Waitley, among other well-known authors and speakers, credits this one little book, given to him at age 13, as a life-changing inspiration that led him toward a career in planting the seeds of greatness in others. In the words of Allen himself, "Dream lofty dreams, and as you dream, so shall you become. Dreams are the seedlings of realities." A recognized pioneer in the personal-development movement, Denis Waitley is one of the most respected and listened-to voices on high-performance achievement and is the author of 18 nonfiction books. His audio album, The Psychology of Winning, is the all-time best-selling program on self-mastery. 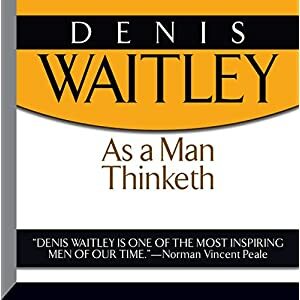 As a Man Thinketh, in audio format, is a must-listen-to program for those who believe in the law of attraction; its object is to stimulate men and women's discovery and perception of the truth that they are the makers of themselves. In this program Denis Waitley is joined by his two daughters, Deborah Waitley, PhD, and Dayna Waitley-Arnold, PhD, both nationally recognized corporate trainers, consultants, and keynote speakers, to combine timeless, winning strategies with fresh insights into the real world of emerging women. Filled with life stories of women who are peak performers and the core principles they share, it is a compass for self-discovery and achievement. These women display a combination of ideas, enthusiasm, and energy for taking initial success to new heights by turning "stress" into "stretch". A recognized pioneer in the personal-development movement, Denis Waitley is one of the most respected and listened-to voices on high-performance achievement. The author of 18 nonfiction books, his audio album The Psychology of Winning is the all-time best-selling program on self-mastery. 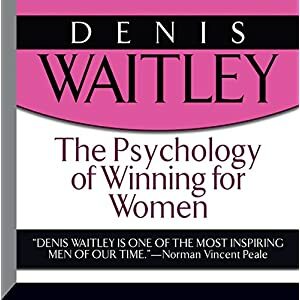 The Psychology of Winning for Women, featuring Deborah Waitley and Dayna Waitley-Arnold, combines breakthrough research with time-tested principles in human potential for contemporary women seeking fulfillment in their personal lives as well as in their careers. In this program, Denis Waitley narrates one of the most popular self-help speeches in the world - delivered over 6,000 times by Russell Conwell, a Baptist minister, nearly 150 years ago. At the heart of Acres of Diamonds is a parable Conwell heard while traveling through the Middle East in 1870. It is a story about a Persian farmer named Ali Hafed, who wasted his life searching, in vain, for diamonds that would make him rich, never knowing that the farmland he had abandoned would produce some of the most valuable diamonds ever found - gems that would adorn the crowns of Europe's kings and queens. A recognized pioneer in the personal-development movement, Denis Waitley is one of the most respected and listened-to voices on high-performance achievement. The author of 18 nonfiction books, his audio album The Psychology of Winning is the all-time best-selling program on self-mastery. Acres of Diamonds, Russell Conwell's famous motivational speech, is narrated by Denis Waitley, who offers his own observations at the conclusion of the program as to why we need to search for our own "acres of diamonds" in our own backyards - the backyards of our minds, where our core values and beliefs are stored. 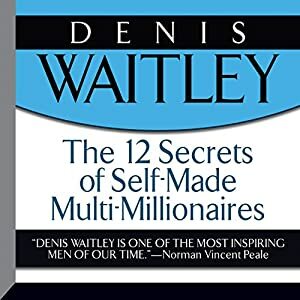 In this program, Denis Waitley reveals 12 common traits that he has discovered in self-made multimillionaires that make them so uncommonly successful and enduring. Several of these secrets appear so obvious that he wonders why less than 10 percent of the population reaches retirement age without having to depend upon the government and others for basic financial needs. 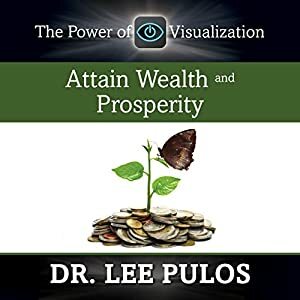 Rather than a "get rich quick" formula, Denis presents the multimillionaire mind-set, supported by practical steps anyone can take to achieve financial security. A recognized pioneer in the personal development movement, Denis Waitley is one of the most respected and listened-to voices on high-performance achievement. The author of 18 nonfiction books, his audio album, The Psychology of Winning, is the all-time best-selling program on self-mastery. 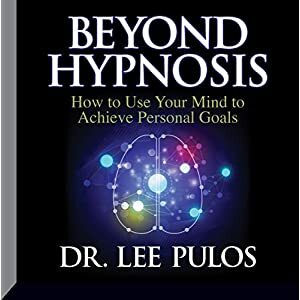 From the historical evolution of hypnosis to the visions of the future mind, this audiobook is about the possibilities of using one's mind to achieve personal goals. Almost every problem, every conflict, every mistake, and every misunderstanding has a communication problem at its most basic level. We live in a world filled with other people where we live together, work together, and play together. In our personal lives, we need each other for security, comfort, friendship, and love. And in our working environments, we need each other in order to achieve our goals and objectives. None of these goals can be achieved without communication, which makes it the basic thread that ties us together. The better we are at communicating, the more effective we are at achieving our hopes and dreams. 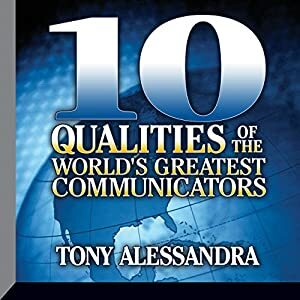 In this idea-packed new audio program from Gildan Media, communication expert Dr. Tony Alessandra, author of the best sellers Relationship Strategies and The Ten Qualities of Charismatic People, will teach you the Ten Qualities of The World's Greatest Communicators. Tony has observed that the majority of the great leaders in the worlds of both politics and business are also great communicators. They have an ability to establish bonds with people that are based on respect and honest communication. Great communicators make others want to trust and believe in them, and they possess a set of skills that enable them be heard in a way that gets results. How to use questions to build rapport and trust. How to give and receive feedback with grace. How to engage in conflict resolution effectively. How to develop the ability to make powerful and persuasive public presentations. How to adapt your communication style to build strong relationships with anyone. How to become a charismatic and persuasive communicator. 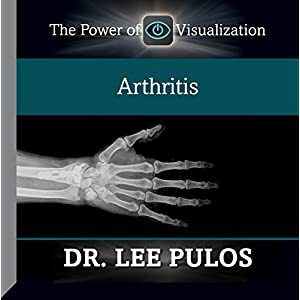 This program was developed with hypnotic suggestions and imagery by a rheumatologist. A powerful procedure to compliment other treatments for this condition.